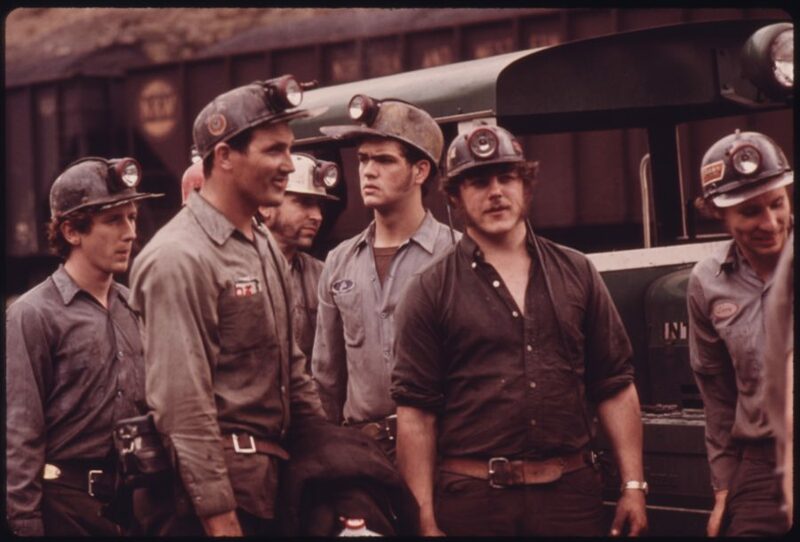 The main problem for Appalachia and the white working class is capitalism. It always has been. What’s the matter with Appalachia? Many liberal elites think they know the answer. Since Trump’s campaign first took off, the economically devastated mountain range has become a symbol of all that is wrong with red-state America — a place replete with guns, bigotry, and the Confederate flag. There is, indeed, a lot wrong with Appalachia, but what’s most wrong is this: it’s a region where people who waged the most militant labor struggles in American history are now seeing their lives devastated by coal company greed, automation, shifts in global commodity markets, and, of course, by Republican reaction and neoliberal neglect. Opposing bigotry must be central for leftist politics, but the Left must also fight the liberal proclivity to write Appalachia off. Neoliberalism foments racism by paving the way for right-wing politics that tell white people that people of color are going to steal their share of a shrinking pie. Our response can’t be to write these people off; it has to be to build a multiracial working-class movement. For the Dig podcast, Daniel Denvir recently spoke to Sarah Jones, social media editor at the New Republic, about elite disdain for the white working class and how the Left and the Democratic Party should respond. This transcript has been edited. You can listen to the full interview here, and subscribe to Jacobin Radio at Stitcher, iTunes, or Blubrry. You can chip in to the Dig’s Patreon here. What were the economic conditions and everyday life where you grew up? How do people relate to politics there? I’ve lived my whole life in the South. I was born in North Carolina, and then my family moved to Washington County, Virginia, where Bristol is, when I was pretty young. We had a strange existence there. We were fundamentalist Christians, and I was homeschooled, so that set apart me from the rest of the county. Eventually I did go to public school and that’s when I really started to learn about the average experience of people who live there. Obviously, it’s very poor and working class, a lot of people rely on food stamps and welfare. It was hit hard by the decline of manufacturing, and it’s sort of on the edges of the coalfield. A lot of people from the coal counties in Southwest Virginia — say, Buchanan County or Dickinson County — end up migrating to Washington County to look for work. It’s this ripple effect that’s happening throughout the region. You’ve written, “In the rise in of Donald Trump Appalachia has become a kind of Rosetta Stone for blue America to interpret that most mysterious of species, the economically precarious white voter.” Why do you think Appalachia has become such a big symbol for political commentators during and since the election? Academics like Ron Eller have written about this before. Appalachia serves a function for elite whites in this country. It’s a place that makes them feel better about themselves. But they don’t spend very much time actually educating themselves about the area or its situation until it’s time for an election. I saw it start to happen in 2016, and then it became really extreme and pronounced when people realized that Trump did have a base of support in the area. Of course we know now that most of his support didn’t come from Appalachia — it came from the suburbs — but that would require the people writing these pieces to interrogate their own circles far more closely. It’s much easier to go after the hillbilly who keeps voting against his own interest. On the one hand, this focus on white workers in the industrialized cities and on rednecks in Appalachia has obscured the fact that Trump won a lot of support from plenty of regular, wealthy Republicans, including idiosyncratic billionaires like Robert Mercer. But his rhetoric did speak to a lot of people in Appalachia and the Rust Belt. I don’t think people who aren’t from the area or who haven’t spent very much time reading about the area have any comprehension. They don’t understand how disenfranchised many people feel. Some of that’s perception, but a lot of it is reality. We’re talking about people who were accustomed to making pretty decent wages at the coal mines thanks to the efforts of unions, and then the coal mines have gone away. And when I say there’s nothing in many of these places, I mean there’s absolutely nothing. You have towns that are threatening to disappear because there is no work, and people are very angry about that. That doesn’t mean they always diagnose the roots of their problems correctly, but they’re not wrong that there are problems. Trump’s anger spoke to people the most, and I think many of them were very desperate to believe that somebody could bring back the coal mines and bring back jobs in manufacturing. Who better to do that than America’s most famous boss? I don’t want to discount the role of race, either. There’s a huge problem with racism in Appalachia as there is elsewhere in the country. In a lot of these places, and Appalachia specifically, a place that used to be this democratic stronghold, it really is economic anxiety. One popular version of what’s wrong with Appalachia has been offered by J.D. Vance in Hillbilly Elegy. He has been selected as the official interpreter of the region for people who don’t live there. Can you lay out his arguments and what he gets wrong? His book is just sort of an updated version of the “pull yourself up by your bootstraps” idea. He nods at broader systemic failures that have helped create this economic dysfunction, but he never explores them in depth. He writes with such disdain about the people that he grew up around: his whole idea that they need a different kind of religion and there’s this crisis of masculinity. He paints a picture of a sort of monolithic hillbilly culture that is feeding the problem. He claims that he’s not influenced by Daniel Patrick Moynihan, but I don’t see how you can read the book and not see the echoes of Moynihan in it. It’s just culture of poverty by another name. You wrote that it’s a little more than a list of myths about welfare queens repackaged as a primer on the white working class. I still stand by that. A lot of Vance’s work is incoherent, as well. He seems to think people are too dependent on government, yet he wouldn’t necessarily go so far as to say that government has no role whatsoever. So you read the book and don’t really come away with a clear picture of what he thinks the solution ought to be. It’s important to note, given that he’s been such a celebrity among liberals that Vance writes for the National Review. Why do you think that such a conservative argument is so attractive to liberal elites? It’s just not accurate. There is no monolithic hillbilly culture, and racism is everywhere. But it’s a lot easier to go after the hillbilly than interrogate your own circles. Many wealthy white liberals organize their entire lives around not sending their children to school with poor black children, yet in their minds, it’s the rednecks who are the true racists — rather than the people who actually express racism through power that they have. These bigotries about working-class and poor white people echo stories about poor black people. For example, Charles Murray recently wrote a book arguing that working-class white people in Philadelphia were morally backward, putting forward the same culture-of-poverty argument. Racism is used to justify policies like welfare reform and mass incarceration that ultimately harm poor and working-class people, including working-class white people in Appalachia. That’s absolutely true. So many liberals might otherwise disdain Charles Murray, but when his ideas get repacked into something like Hillbilly Elegy, they suddenly don’t have a problem with it. One of the reasons they’re so desperate to find sensible conservatives like J.D. Vance is because they actually agree with them far more than they agree with the Left, and, if that means throwing poor whites under the bus, then they’re willing to do that. You mentioned before that beating up on people from Appalachia allows liberal elites to hold themselves blameless for racism. It also holds the political project that they support, neoliberal capitalism, blameless for the problems that are hitting Appalachia. But you have Mother Jones‘s Kevin Drum, Vox has Dylan Matthews — very serious people in liberal punditry — constantly insisting that culture is the only way to explain support for Trump. The implication is not just that racism is this primordial ahistorical sentiment lodged in poor white people’s lizard brains (though that is one implication, and a really stupid one). It also implies that this redneck culture is at the root of all evil and gives the economic system a pass. Appalachia’s problem is capitalism. That’s always been the problem. That’s true for the rest of the country as well. You see a lot of people shying away from acknowledging that that’s the answer. And if you aren’t willing to grapple with that, then of course you’re going to depend on these myths about there being some sort of backwards culture that you can isolate and then blame for social ills of any nature. One thing that doesn’t get discussed enough about Appalachia is the history of left-wing labor militancy in the region and how that might inform rebuilding the Left there. Relatedly, Bernie’s decisive win in the West Virginia primary offered some really remarkable lessons for how a left project might move forward. But most commentators did everything possible to attribute his win to anything other than what it was, which was that economic populism holds real appeal in places like Appalachia. No one should have been surprised that Bernie Sanders won West Virginia, and he did win some of the most isolated rural counties in Virginia as well, in the coalfields. You could see his experience as an activist having a clear result there, and his very plain-spoken populism really appealed to people. It tapped into their grievances. The best thing Sanders did was start this conversation about what progressive economic populism could look like. I hope that will repeat itself in places like West Virginia and start to fill the void that’s been left behind by organized labor and by the Democratic Party itself. The unionization rate in mining fell to 2.5 percent in 2016, down from more than 40 percent two decades ago. Republicans have been able to do something remarkable in places like West Virginia and throughout the region — and this is something obviously that Trump capitalized on — which is reframing the dynamic by pitting coal owners and miners together against the federal government and its so-called war on coal, instead of coalminers versus their horrible greedy bosses. Why do you think Republicans have been so successful in framing these coal bosses as champions of miners, and why do you think the Democratic Party has allowed that to happen? Desperation. It’s important to keep in mind, first of all, that coal mining paid pretty well. It was generally considered a ticket to a middle-class life, albeit with serious health concerns. The Republicans, as a reactionary party, are very good at tapping into that fear and desperation. Simultaneously Democrats in the area are very aware that this fear exists, and it’s real, and that they’re not going to win office unless they cater to it. Trump has proposed major cuts that would impact Appalachia pretty severely. You’ve written about cuts to the Appalachian Regional Commission. How have these kinds of Republican policies impacted the region? The Appalachian Regional Commission was a big one. Trump is not the first Republican president to try to cut it; Reagan tried as well. It’s kind of the worst legacy, and there are a lot of them, of the Republican’s fetish for de-regulation. It has hugely affected Appalachia and been very beneficial to the coal industry at the expense of people who already live there. Of course, one of the first things that Republican governor Matt Bevin pushed when he took office in Kentucky was right-to-work, and that’s going to be a disaster for what’s left of the unions in the state. Those are two big ones. General antipathy for the strong welfare state and public funding for these communities’ needs is growing, concurrent with constant Republican attacks on the very notion of welfare. They’ve also been very good at reframing the argument, similarly to how they did for coal: “These are handouts. People are becoming dependent on government and this is bad for small business, this is bad for economic diversification.” That’s very much not true, but they’ve been very successful in promoting it, and it’s been a disaster for the area. Do you think that the Left could be successful by taking “big government” programs that many people avail themselves of in the region, whether it’s the Appalachian Regional Commission or Medicaid expansion, and championing them as things that are good for people and examples of why big government can be pretty great? Yes. You can see the fact that people don’t currently think this way as a legacy of a failure of political education on the part of the Democratic Party itself, and a legacy of de-unionization in the area. People don’t understand quite what the government does for them, what its function is, and they feel very disenfranchised and very alienated from the government. You wrote an interesting piece recently arguing that Trump and Republicans subscribe to a contemporary form of eugenics, or a political philosophy at least that echoes eugenics strongly. It also seems to be popular among liberal elites. You suggest that eugenics is a necessary result of this current economic setup because in a supposedly colorblind meritocracy, if the system isn’t the cause of rampant inequality, then it must stem from differences in people’s innate capacities. Do you think that there’s a way to expose this sort of eugenic undercurrents to voters? They already realize that, to a certain extent, in that they feel resentment when they’re called idiots. They are aware of it even if they aren’t necessarily aware that there was a eugenics movement or that it specifically targeted people, and poverty was considered evidence of imbecility and could have gotten you sterilized or institutionalized. They might not know that but there is this resentment there. They realize that there is some sort of inequity there. You do see the backlash to all these iterations of Trumpcare as people recognize it as a form of eugenics because it so blatantly targets low-income people, and people with disabilities, and people who may become disabled. So it’s kind of becoming this inescapable conclusion where I don’t think you can look at the policies of the Republican Party and reach any other conclusion. I don’t see how you can escape the conclusion that eugenics is an offspring of capitalism. Jonathan Chait was rather brazen about it in a recent piece in which he argued that Trump voters are just idiots. But typically neoliberals and conservatives like to be more subtle about why they are repealing Obamacare. When they say exactly what they mean, it comes out like this Republican congressman who recently said that he believes that healthy people deserve lower premiums because they lead good lives. It was really telling that he put it in terms of morality, which is exactly what the first proponents of eugenics did as well. He may not have done that deliberately, but his views appear to be identical, so of course, it makes sense that he’d use the same language. You can see that refracted in the Republican Party at large. Again, even in this liberal reluctance to push for a health-care system that recognizes that everyone has an essential inalienable right to health care no matter how they live, whether you like their lifestyle or not. There’s an understandable resentment around being talked down to by liberal elites that animates a lot of white conservatism throughout the country. How much of that do you think is a response to things that liberal elites, like Johnathan Chait, actually say and to what extent do you think it’s been ginned up by Fox News and right-wing radio, and well before that Richard Nixon and Spiro Agnew? I’m not sure that’s possible to quantify. There is this tendency towards smugness that people are reacting too. You also have to account for the influence of Fox News. It’s a very influential, very wealthy news outlet that’s effectively pushing out propaganda all the time. And that undeniably has an influence and contributes to this toxic mess we’re looking at right now. My warning to liberals is, you should also take that into account when you’re going on TV and when you’re writing these pieces. It’s possible to criticize people without resorting to certain terms or certain idioms that contribute to making the problem worse. I don’t see any need to refer to people as idiots, or imbeciles, or fools. I know that sounds a little bit precious because sometimes people do idiotic, crazy things. I’m very frustrated with many of the people I grew up with. If I were a person of color I can only imagine how much more exponentially frustrated I would be. But I wish that people would take the time to really think about the way they’re communicating their political messaging, and I wish that they would take the context of certain regions into account. I would ask them, “What is it that you’re actually trying to accomplish with these pieces that you’re publishing or with your TV spots?” If it’s just to make yourself feel good, then okay, just call people idiots all you want. But if you want to accomplish something else — like if you want to promote some form of economic populism or what many of us refer to as socialism — I would question if that that’s the best way to go about that. Even if you’re a liberal and you’re not asking for such sweeping reforms as I would like to see, I would ask you to think about whether or not you’re actually going to accomplish that. I think there’s this prevalent idea that expressing disapproval and denouncing something that is bad counts as politics. That’s an excess in what we call “call-out culture.” We think that we’ve committed some sort of activist gesture by pointing out that a bad thing is bad. It is an activist gesture to a certain extent, but it seems to end there. If your goal is to do politics, if there’s a coherent political project that you’re expressly trying to support and promote and get other people to sign on to, then you can’t end there. There has to be a next step. We need to be asking ourselves what that next step is going to be and how do we talk about the politics that are important to us. It also seems to grow out of the faulty premise that an economic populist program necessarily requires setting “social issues” to the side. That’s a very strange conflict that’s been manufactured. I don’t pretend to understand it. It seems so obviously wrong to me that you have to sacrifice social issues in order to promote economic populism. I mean, that’s what conservatives think that you should do, for sure. That was Donald Trump’s campaign. Sarah Jones is social media editor at the New Republic.